Since its inception 42 years ago, Mumbai-based Transworld has evolved into not just a shipping agency but a logistics company as well, with $700 million in revenue. It has expanded along the value chain by being a ship owner and operator as well as a container owner and operator apart from dealing in land logistics. Last year, the company decided to move its entire operations, from data to software applications, to the cloud. It even formed a team to manage the transition. The company's business teams sit in Chennai, while its IT team is in Mumbai. It uses the cloud to leverage the best of emerging technologies to integrate and transform its business. Earlier, companies would offer warehousing, documentation, customs clearance and land transportation as backend processes. 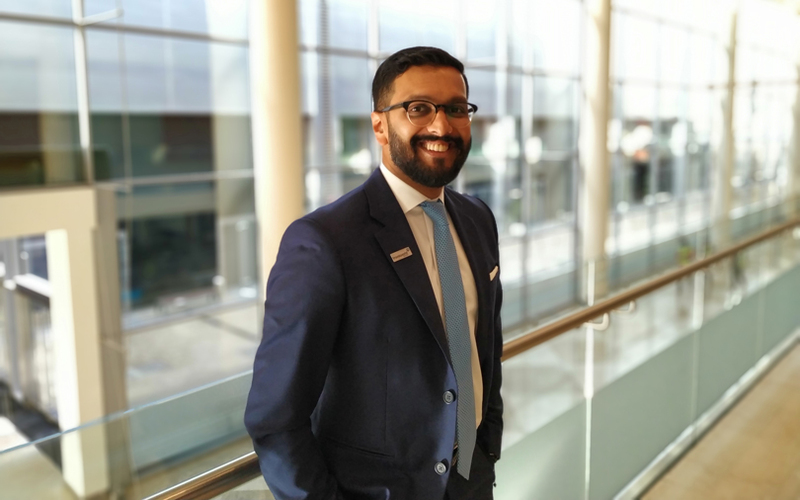 Today, most companies provide these services to customers as their own products, and Transworld is no exception, explained Ritesh Ramakrishnan, joint managing director at the firm. Why did you move your operations to the cloud? We made the shift] because there were inherent limitations to the technology we were using and consumer requirements are changing. Today, technology drives, and should drive, the business. As an organisation, we [operate] in two buckets today. One is ship-owning and the other is logistics. We have 22 different entities within the group. Historically, these were run on 60 different platforms and we had issues integrating businesses together. We had been using custom designed products for the last five to six years. We needed to remove methods and processes as [the business] reached midlife. So it was a conscious decision to switch the mindset. It took us six to seven months to talk to several people before deciding how to go about it, and we finally went with Oracle cloud. BirlaSoft is our system integrator for the project. What challenges did you face when moving the businesses to the cloud? A change management team made this shift. We are doing it in a phased manner and different entities are doing it differently. Parts of the business were run by different entities, so integration was the biggest challenge and that is the biggest benefit we want to see from this initiative. Towards the end of the third quarter of this calendar year, all of our businesses will be on the cloud. Since we use the same technologies and the move to the cloud comes with an upgrade, our employees have a sense of what we are doing. One of the things is educating everyone about the need to do this. We explained to them that this [will] not [involve] job cuts but [will improve] our business. Which emerging technologies are you implementing now? We are deploying artificial intelligence (AI), machine learning (ML) and the Internet of Things (IoT) simultaneously as we have a lot of moving assets. We have a fleet of 45 cold chain trucks and 100 dry cargo trucks. We have to give live updates and visibility to our customers and partners on computers and mobiles. We need to be agile and flexible enough to understand what they want to see while working with us. Unless we have a strong backend, we cannot deliver on these promises. We also use blockchain to track our containers and the customs and documentation for the products inside the containers. We work with multiple logistics providers and the technology helps us interact with several of these partners in the ecosystem efficiently. By adopting blockchain, we want to see whether we can avoid documentation and ensure that cargo verification is automatic and foolproof. It need not be as tedious as it is today. Could you talk about the return on these investments in technology? We have been able to bring a lot of efficiencies as we moved to a software-as-a-service (SaaS) model. Operations are easier to monitor and control. The cost has increased temporarily as there is a one-time implementation charge when you take up a new project. But in the future, it will be a stable cost, even as we keep investing in new technologies. Our chief information officer and board of directors also have a say in this and have mutually agreed on an internal roadmap. The only question the board asks us is why it takes so long to implement everything. You can't be outlandish in what you invest. You need to be on the same page as everybody else in terms of expectations. Is there a limit to the investment in technology? Yes, of course. RoI and reasons have to be clear but investments need not be expensive. The technology sellers are aware of this. We are trying to understand why certain segments are not yet ready if that is indeed the case. We cannot be bulls in the china shop. There should be robust technology that people would want to utilise, then the stickiness will increase. They will be happier and talk about us more positively and that will help us grow the business. Our goal is to be a technology company, not just a shipping company. Technology should drive the business, not the other way around. What has changed for the shipping and logistics industry over the years? The shipping industry has been a laggard in implementing the technology, while the logistics industry was marginally better. Of late, the largest shipping company Maersk has been implementing a lot of technology initiatives, becoming leaders and driving this change in the industry.